Captain Atom hasn't been seen or heard from in years-and even if you think you know what happened to him...you're wrong! But you're not alone. 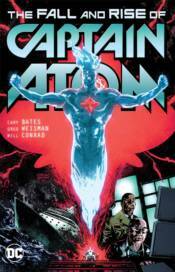 To this day, no one on Earth-not even the other superheroes-has an inkling of the missing Captain Atom's true fate. At last, the truth is about to be revealed in a saga that transcends not only the meaning of life and death, but the limits of time and space. Collects issues #1-6.